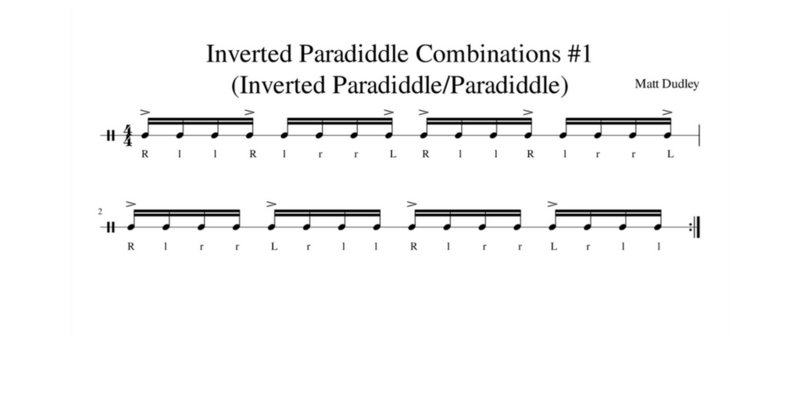 This weeks lesson deals with the Inverted Paradiddle and the Single Paradiddle. When practicing this exercise remember to keep all non accented notes low so that you can distinguish the two different strokes when playing the accents. Memorize the pattern on the practice pad before displacing it on the kit. Below is a more simplified explanation of the two patterns.